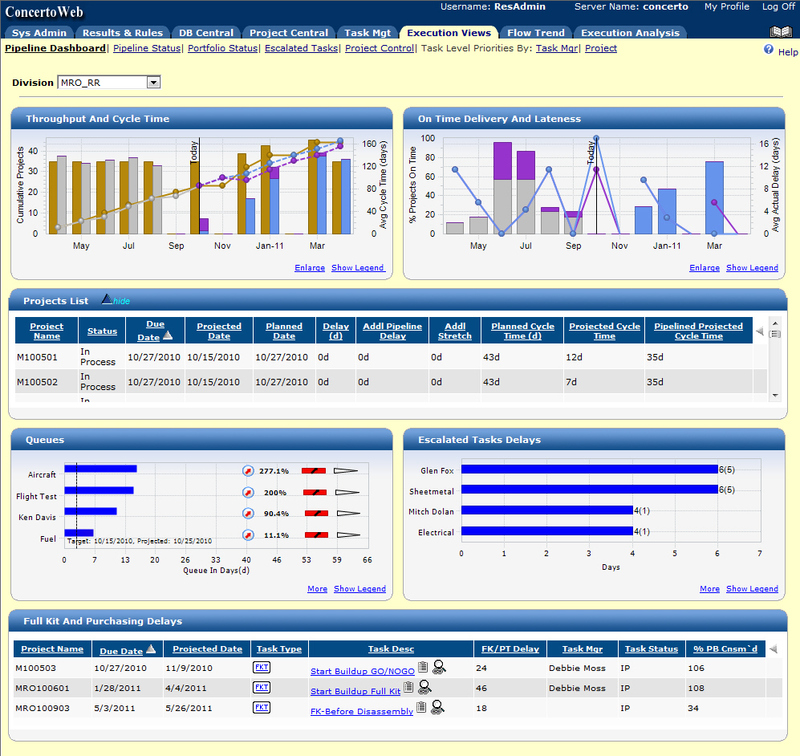 A dashboard full of charts and reports. 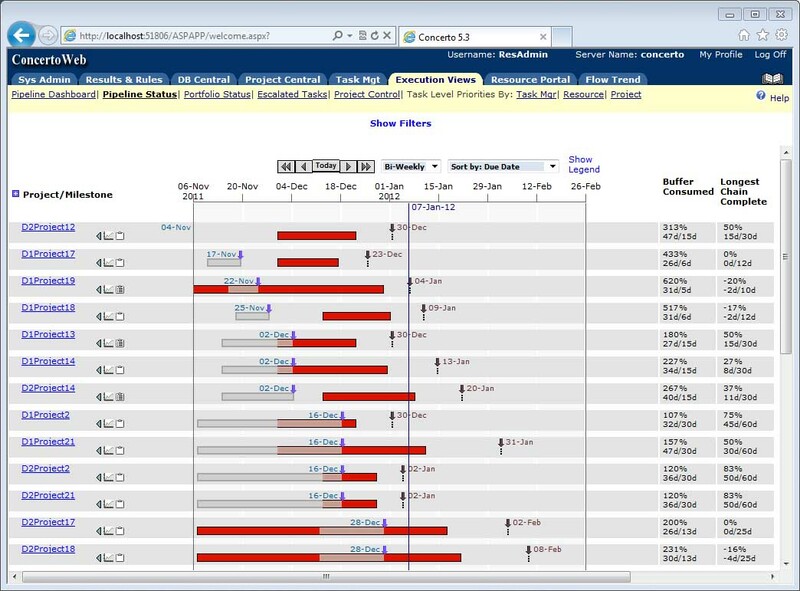 Our new dashboard feature was presented at our annual conference, Project Flow 2011, to rave reviews! Project managers and executives who use our web-based software once had to scour through several charts and reports to see the information they need for the day. However, with the new dashboard design, most of the essential information can be seen on one screen. The charts are generated using a 3rd Party add-on called ChartFX.Net from SoftwareFX. I used jQuery to populate the widgets with data. jQuery was also used to display enlarged widgets in a modal dialog box. All the widgets were generated with ASP.Net code. 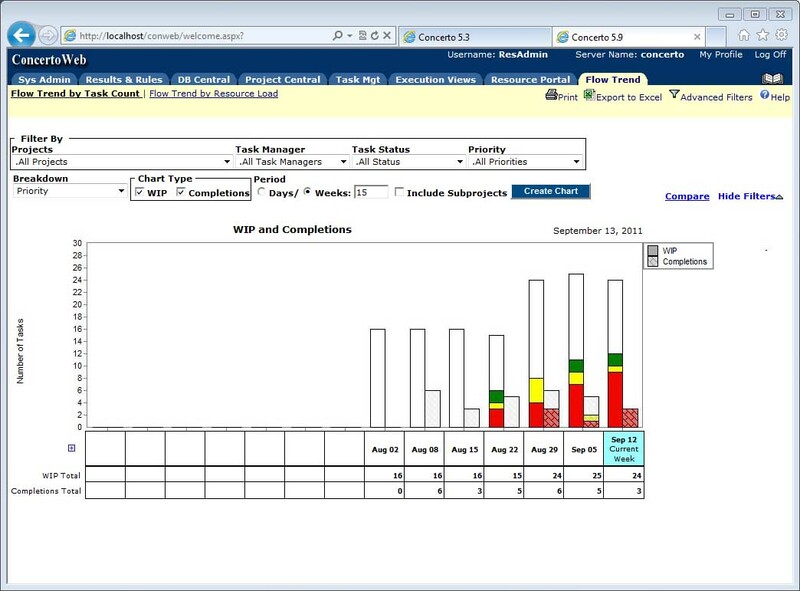 *update: The dashboard feature was officially released to clients on Dec 13, 2012. My UI design has been given a patent! The summary goes on and on… in other words, I created something very complex and we don’t want anyone else stealing our ideas. *update: If you want to read the entire summary, I now have a framed plaque with the patent to show you! Yay! 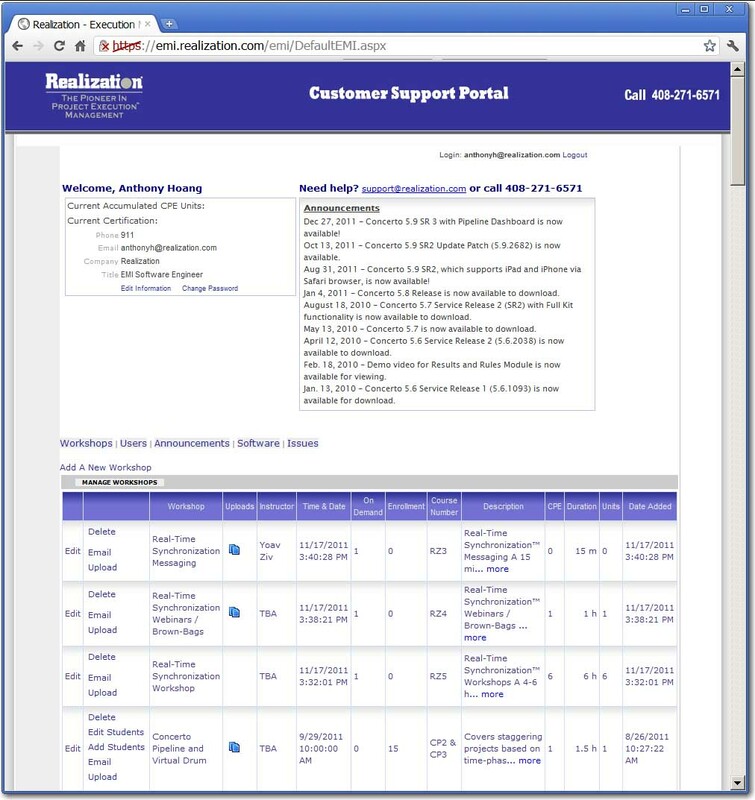 My web-based customer support portal! 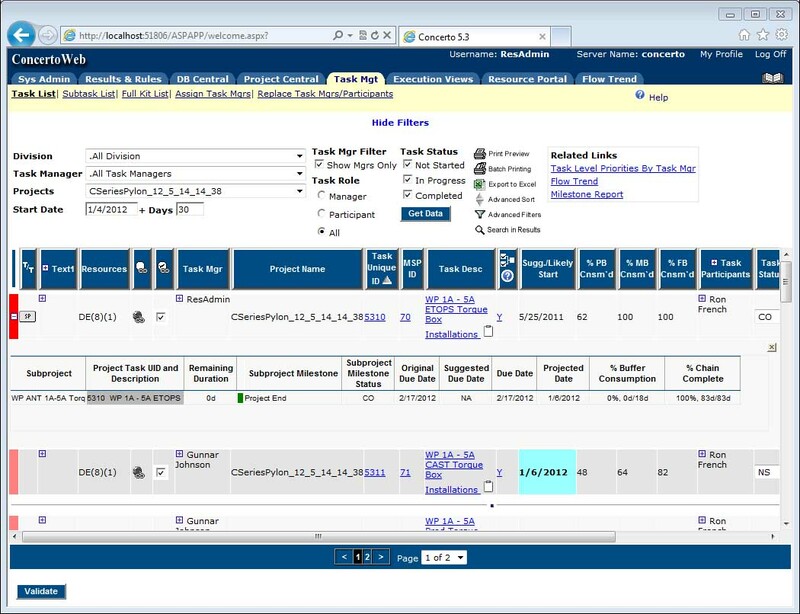 The Realization technical support team needed a way to streamline their processes with customers using a web-based application. They occasionally conduct workshops and learning sessions and needed a way for our clients to register for these classes. The IT team also needed a way for certain clients to be allowed to download files and software releases. It was my responsibility to come up with a design and take it to completion. I created this web application using ASP.Net with SQL Server as the database. The application administrator section allows the admin to add/remove workshops, upload files for users to download, and set the user’s permissions. Migrate from ASP to ASP.Net and our charts get an upgrade! 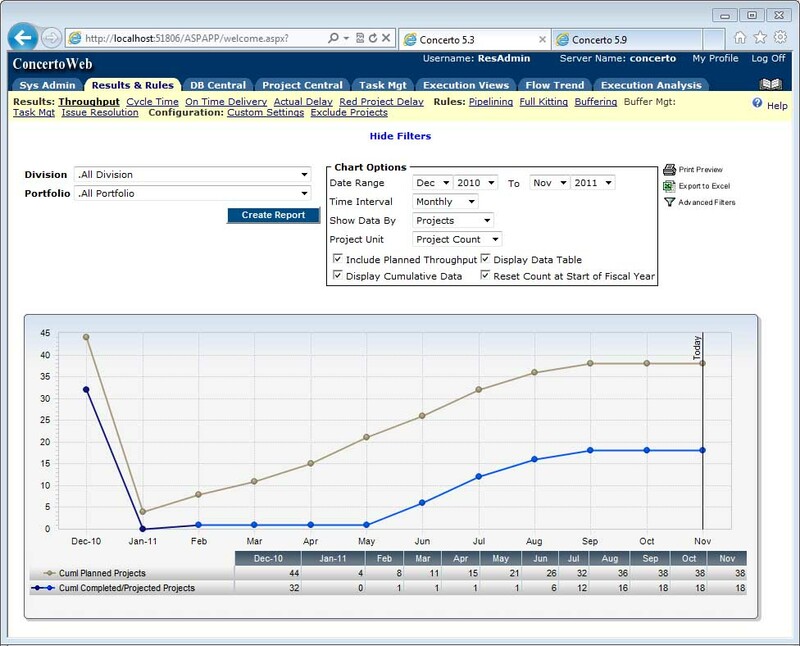 In addition to migrating Realization’s web-based project management software from ASP to ASP.Net, we also upgraded our charts from ChartFX to ChartFX.Net. ChartFX.Net gave me the ability to put in gradient colors and shadow borders. However, it lacked a smooth scrolling data grid. Once again, I improvised by using HTML to overlay the chart with my custom-made, smooth scrolling data grid. What happens when you create a chart that’s unique and uncommon yet gives you very useful information? You patent it, of course. Realization got a patent for this chart with my name on the list of patent holders! This is a very unique area chart with scattered points. The points indicate a project’s due date completion status. If the project is in the red area, the project is in danger of not completing before the target due date. If the project is in the green area, then you’re safe. I made this chart using the ChartFX component. It comes with configuration options such as zoom, project labels, label locations, red/green/yellow area settings. ChartFX can’t do it? Don’t worry, I can. 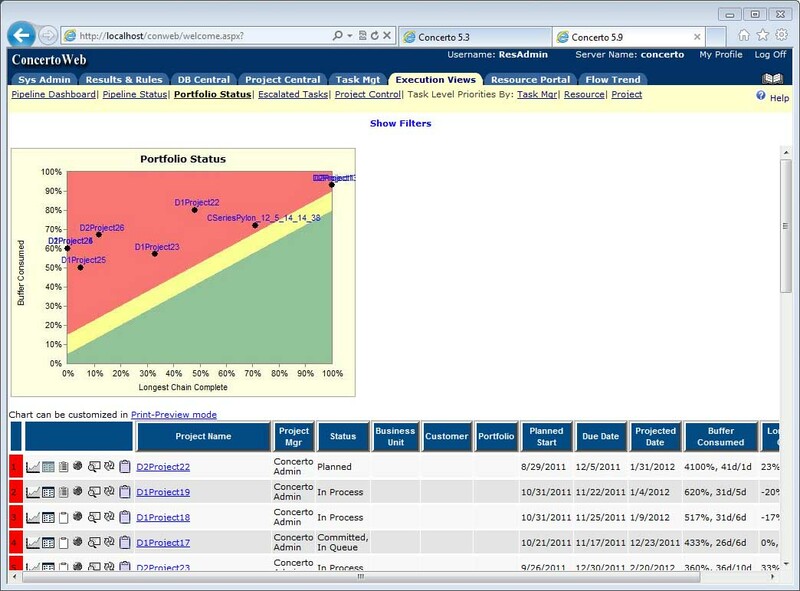 SoftwareFX’s ChartFX component is very useful in displaying so many different charts and in so many different ways. However, the current version of ChartFX lacks the ability to display a grid of data alongside with the bars in the chart. Instead of whining and crying about it, I came up with a solution. Using HTML, I overlayed a grid on top of a chart and I was able to display the grid of data, coinciding with the chart’s bars. With some improvisation and hard work, this idea worked like a charm. *update: The newer version of ChartFX, ChartFX.Net, now comes with a grid data, but doesn’t work very smoothly. I created another version of this chart data grid for the .net version with scrolling data. A web-based chart made only with HTML? No way? This chart was made with only HTML! What do you do when you need to make a report with bar charts, columns of data, panning dates, expandable sub-rows, and absolutely with no plugins are allowed? You do it in HTML, of course. This… was my task. I may not always be able to answer phone calls. It’s best to contact me via email or text. You may also leave a voicemail, but I’m slower to respond to voicemails. Thank you.